Natalia Molinero Mingorance is a Masters student in Wireless Communication Systems at the University of Sheffield. Here she talks about her passion for mobile devices, her experience of the Women in Engineering society and the advice she is taking with her for the future. She is an international student from Spain. Telecommunication Engineering deals with all mobile devices that help us communicate, such as tablets and mobile phones and it is very similar to Electrical and Electronic Engineering. I studied Telecommunication Engineering, in Madrid, at the “Universidad Europea” and came to Sheffield in 2013 to start my MSc in Wireless Communication Systems. I chose to study engineering because I have always loved technologies, mathematics, and especially new devices like mobile phones and computers. During my undergraduate degree, I spent a fantastic time analysing how electronic devices work, and how we can create new applications. In my final year, I chose to do my final project about the last generation of wireless mobile communications, LTE. Now I know, that is the field in which I want to work in! Why the Women in Engineering Society at Sheffield? I decided to join the Women in Engineering Society because when I was studying my undergraduate degree in Spain, we didn’t have any society and I really felt that I needed to be part of an organisation where I could identify with others, share my interests and my concerns. When I arrived at the University of Sheffield and I saw this opportunity, I did not doubt for a second that I wanted to get involved! I found it useful also because she gave us some key points to consider for our future careers: “What are you good at?” “What do you enjoy?”, which I understand as a way of doing your best and being happy at the same time. I really hope to attend to more talks and seminars like this one, because I think that they are the perfect complement to our technical studies and lectures and encourage us to keep on working hard in what we love. Natalia Molinero Mingorance is a MSc student in Wireless communication and her email address is: nmolineromingorance1@sheffield.ac.uk. 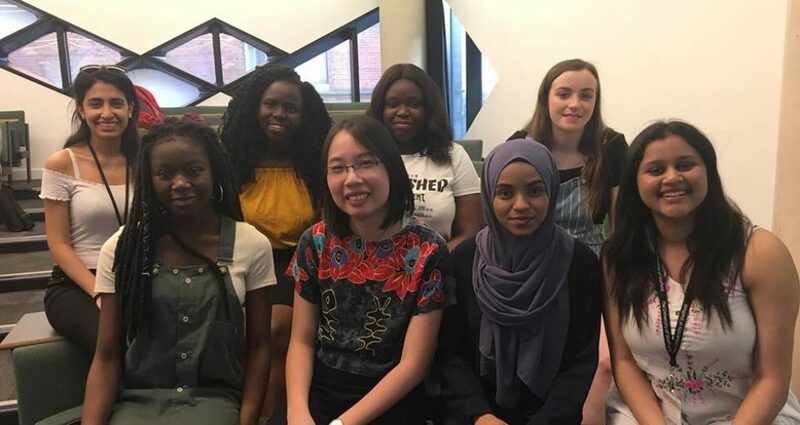 If you are interested in the activities of the Women in Engineering student society, please visit:www.womeninengineering.org.uk. Next Post What’s wrong with Britain’s computer scientists?